I miss Carl Arendt! 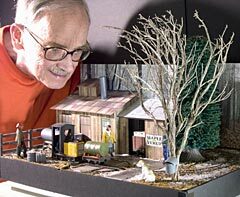 His writings on small and micro layouts at http://www.carendt.com/ changed my view of Model Railroading forever. Over several years I had attempted to build a few different layouts and all ended with a semi-constructed “plywood central” that did not satisfy or keep my attention. Each time I would get so far and then finally decide after months/years of tinkering the design was not doing it for whatever reason. 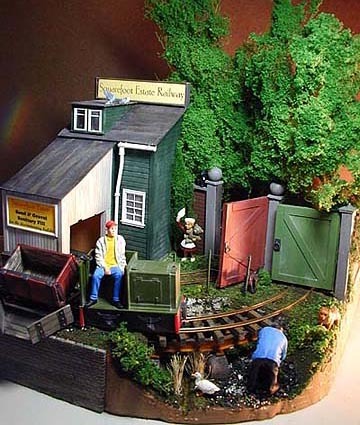 I liked Model Railroading, but for some reason i just could not see a plan through. I have been interested in Model Railroading since I was a kid in the 1970’s.All the US magazines and books I read always referred to the large basement empires. I always assumed that is what you did, build a layout that fills all the available space and ask for more. In 2009 I was doing research for yet another new layout. This time I knew I needed to scale back and designed a modular shelf layout so I could work on it in pieces (and maybe finish one for a change). It was still large and went all the way around my workshop. I had designed the shelves with integral backgrounds and lighting. Little did I know I had re-invented the $100 dollar module with my shelf design. I was having trouble with proper lighting and was doing research on the web when I stumbled across Carl’s site. Carl’s site was amazing! I quickly learned that it did not have to be large to do what I wanted. Everything I had learned from all those US based magazines was out the window. It was like my eyes had been opened to a whole new world! I began focusing on small layouts I could finish and did. Now I can model in multiple scales, locations and industries. I can take my layouts on the road and share it with others. the real key is that I can finish it in a reasonable amount of time. 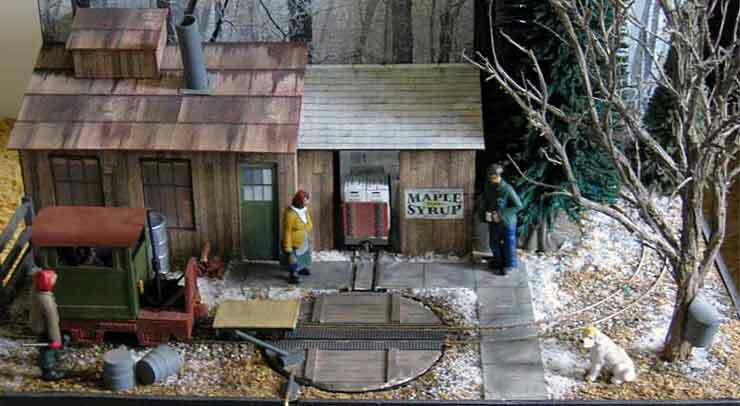 Sadly, Carl passed away in 2011 and many in the model railroad hobby world felt the pain of losing a true pioneer in the hobby. His site has been saved by volunteers in order to save his work. But my comment is not so much a comment but a wordpress thing…. Glad you enjoyed the site. Thanks for the tip on the URL but it is because I have not paid for the feature. Eventually I will pay for that feature, just hadn’t got to it yet. Carl’s Site is still around but not as active as it was. Go to the site and sign up for update emails. You will receive and email each time the Scrapbook published. The rest of the site is still there.